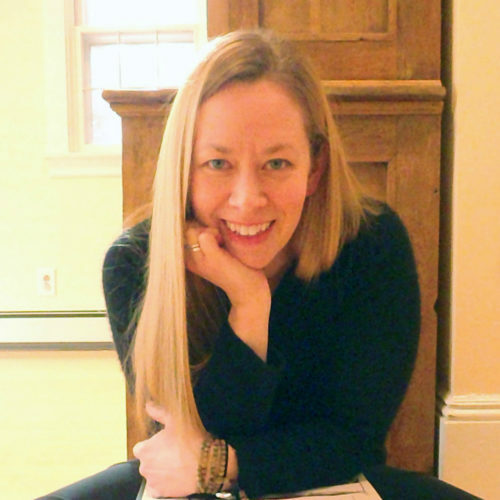 Lauri Nemetz is a certified and registered experienced-level yoga teacher, Stott Pilates® certified instructor, a board-certified member of the Academy of Dance/Movement Therapists and a licensed creative arts therapist (psychotherapy). She is a past president of the YTA (Yoga Teachers’ Association) and has been a professor at Pace University since 2007. In addition to teaching movement and anatomy and working as a therapist with a wide range of populations, Lauri leads yoga and kayaking trips on the Hudson river, in Canada and in Costa Rica. She also provides tremendous support as an assistant in the Anatomy Trains Fascial Dissection workshops. Lauri was a student in the Anatomy Trains® 200 hr. Body Language NYC course in 2008 and has continued studying and training with Tom and senior AT teachers. She has deepened her anatomy work with multiple full-body dissections with Gil Hedley, including a three-week intensive in 2014, courses at Mt. Sinai School of Medicine, and labs with Tom Myers and Todd Garcia. Lauri has also assisted the Anatomy Trains dissection labs since 2014, and in 2015 presented her work, “The Heart of Fascia: Initial Steps Toward a Three Dimensional Model of the Human Extra-Cellular Matrix” as both a published abstract in Fascia Research IV and as part of the poster session of the Washington DC 4th Fascia Research Congress. She is a graduate of Leslie Kaminoff’s Yoga Anatomy course among several other movement studies and continues as a life-long learner. Lauri also provides tremendous support as an assistant in the Anatomy Trains Fascial Dissection workshops. She has also published writings on movement therapy and yoga in several books and journals and is intrigued in studying how environment affects movement and continues to explore and travel the internal and external world. She lives in the Hudson Valley of NY with her husband and two amazing boys. Visit www.wellnessbridge.com for more information.